Everyone hated a fat woman, but none more than she hated herself. Balance, as written in the Waisted brochure, implied weighing less. The virtually memorized pamphlet tucked in Alice’s jeans pocket promised a new life. The women scuffled in the leaves in the parking lot of a designated Dunkin’ Donuts—a meeting place Alice suspected, for no good reason, had been chosen with deliberate irony. She pushed away thoughts of mean-spirited motivation, chalking up her suspicion to nerves and rising hints of buyer’s remorse. The thick smell of donuts blew around with the scent of fall leaves. As Alice shuffled from her right to left foot, pulling her suede jacket tight against the wind, a redheaded white woman approached with an outstretched hand. Before Alice could do more than shake Daphne’s hand, a uniformed woman came into view, self-importance emanating from her stiff shoulders to the black pen she clicked on and off. “No talking, ladies. Line up, tell me who you are, and then march on board.” She checked names against a paper fastened to a red clipboard. One at a time, the women climbed the steps of a repurposed school bus. After the last participant dragged her crazy-wide thighs up the stairs as though this ascension were an Olympian event, the woman in charge marched aboard. Alice stared at her phone, pulled up the keyboard, and then closed the screen. She repeated the exercise three times until shutting off the device. She’d already sent all the explanations to her husband that she could muster. To her parents as well. Additional messages wouldn’t help justify her actions. The driver walked down the aisle, hand out. When receiving each phone, she peeled off a sticker—a small name tag, it turned out—and placed it on the back of the device. “To ensure you get the right phone back,” she explained. After handing over her phone, Alice unfolded the creased and much-read brochure. “Waisted: Where You Discover You Can,” the luminous cover announced. A photo of a sprawling mansion, rays of sun shining through clouds and dappling the windows with sparkling promise, covered the front. Adirondack chairs dotted the green lawn. Giant sunflowers waved from a garden in the distance. Muscular women with strong-looking legs lay on straw mats. She pushed away thoughts about the brief paragraph regarding filming for educational purposes. None of the women sat far from the front of the bus, though nobody shared any of the bench seats. They only darted covert glances at one another. As though imitating the brochure, they formed a virtual UNICEF poster of heavy women: white, black, Hispanic, Korean, and Indian. And then there was Alice, representing mixed race, though who knew into which category they’d slotted her. Alice tried to ignore her period cramps and the nausea brought on by exhaust fumes. Perhaps the first test of fortitude “as you embark upon a journey of inner exploration to reevaluate your lives and learn how the mind-body connection affects your body,” was this bumpy ride to the Northeast Kingdom of Vermont. After traveling for hours, Alice wanted to separate from both her outer and inner explorers. Sleep threatened to overtake her, the day having begun with an early train ride from Boston to Springfield. Alice needed food, water, and ibuprofen. The women surrounding her were dressed as though they were headed to a brunch attended by friends they wanted to impress. Without phones, zoning out with headphones and a playlist was impossible. A dark-skinned woman with red glasses clutched an unread paperback, but most of them simply gazed out the window. After three hours, they left the highway and turned onto a two-lane state road. Neither homes nor businesses appeared on either side. The area seemed deserted. The driver made a sharp left, though no identifying marker beckoned from anywhere, and steered the bus up a narrow paved road. After driving up as though on the ascent of a roller coaster, the ride evened out as the road gave way to tamped-down dirt. They slowed to a crawl along a single-lane road bordered by a low rock wall until reaching an open area fenced in by barbed wire. Here the bus entered a road bisecting a magnificent field strewn with fiery maple leaves until resuming its journey to the top of a long circular driveway. Alice put a hand to her heart as the vehicle shuddered to a stop. From this vantage point, high up a mountain, she beheld the breathtaking view: multiple valleys colored by a riot of October colors. Across two football fields’ worth of grass loomed a yellow mansion, topped with a copper-topped cupolaed roof. A vast white porch curved around the building. The women exited the bus and walked the long brick path leading to a set of broad perfectly painted brown stairs. Hanging from a porch beam swung a cryptic wooden sign. This reading group guide for Waisted includes an introduction, discussion questions, and ideas for enhancing your book club. The suggested questions are intended to help your reading group find new and interesting angles and topics for your discussion. We hope that these ideas will enrich your conversation and increase your enjoyment of the book. Daphne, plump in a family of model-thin women, learned only slimness earns admiration at her mother’s knee. Alice, breakup skinny when she met her husband, risks losing her marriage if she keeps gaining weight. The women soon discover that the filmmakers have trapped them in a cruel experiment. With each pound lost, they edge deeper into obsession and instability . . . until they decide to take matters into their own hands. 1. How does the mood of the opening scene resonate with you? What did you expect to come after reading this? 2. “What are you?” Alice has gotten this question for most of her life in regards to being mixed-race (page 11). How does the question affect her? What role does race play in her identity and her relationships? 3. Describe Alice and Daphne’s relationship to food and their weight. What are the differences and similarities between them? Do either of their relationships to food match yours? 4. After leaving the film awards ceremony, Clancy and Alice have an argument when they arrive home. Read between the lines and dissect what each character is really trying to say. How does the argument affect Alice’s decision to sign up for the documentary-filmed retreat, Waisted? 5. At the wedding of Daphne’s sister, her mother directs some sharp words toward her: “Sunny grabbed Daphne’s upper arm. ‘Cover these,’ she whispered. ‘The photographer is everywhere’” (pg 56). Why do you think Sunny acts this way toward her daughter? Are her actions fitting for a mother? Could you imagine doing this to your daughter? How would you have reacted if you were in Daphne’s shoes? 6. What does Daphne realize about her parenting tactics toward Audrey? What had been her intention in the first place? Discuss what she may mean by her “body [ruining] relationships” (page 65). 7. How do the trainers treat the women upon their arrival? How do you feel about their remarks toward the women and their goals? 8. Besides sharing the experience of acclimating to Waisted’s grueling demands, what bonds Alice, Daphne, and Hania? Describe a few of their conversations. What roles do they each play in this friendship that is engendered by being roommates? 9. The weigh-ins had been humiliating enough for the characters when they were clothed, but the trainers take it a step further by ordering them to strip completely before stepping on the scale. What are some of your reactions to this scene? What did Daphne and Alice’s responses reveal about their character growth? 10. The women’s revenge plan is based on what they discover in the filmmaker’s den? What’s their revenge plan? Where do you think their courage came from? 11. Describe what Daphne and Alice’s lives are like after returning from the mansion. Did their weight loss come at a cost? How do people react to their new appearances? 12. Describe Clancy’s reaction when he learns about Alice’s plans against the filmmakers for Waisted. Are you surprised at all? What are your thoughts on Alice and Clancy’s reconciliation? Do you think the issues brought up in the beginning of the novel are surmountable? 13. How do the characters view themselves in the end? What do you think their lives will be like going forward? 1. “‘I wonder if there’s a girl in America who doesn’t grow up wanting to be skinny?’ Alice mused” (pg 115). Reflect on your own relationship with weight and body image. How would you answer Alice’s question? Research the history behind the body positivity movement. Read news articles about the movement today and discuss where it might be going. 2. Discuss reality television shows that focus on weight and body image, such as The Biggest Loser, Extreme Weight Loss, and Celebrity Fit Club. If you haven’t seen these shows, watch a few clips on YouTube. What value do these shows possess? 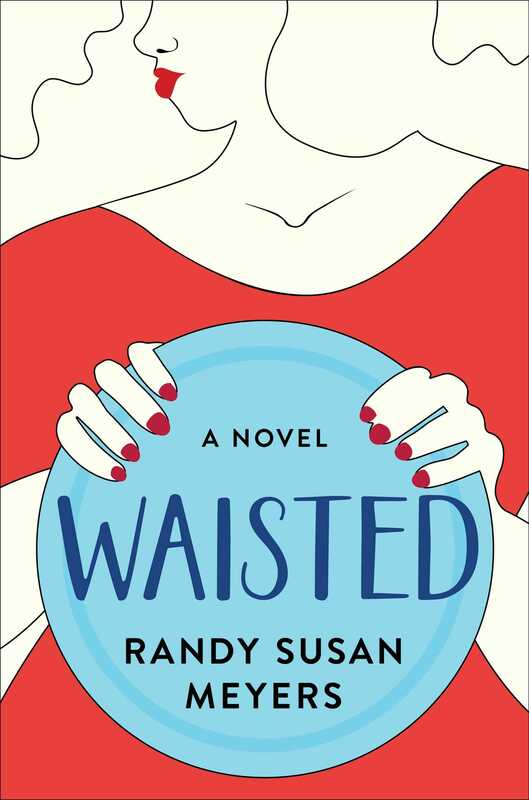 After reading about Waisted and the characters’ experience, what are your thoughts about reality TV? 3. 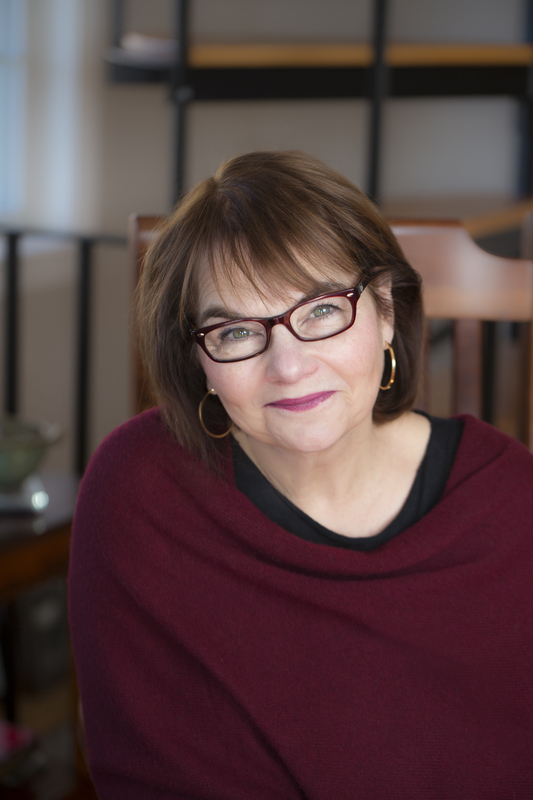 One of Randy Susan Meyers’s many strengths as an author is her ability to depict women whose experiences feel real and universal, such as Daphne striving to find the right dress for her sister’s wedding or her desire to raise her daughter differently than how she was raised by her mother. Alice fears that her weight gain may have caused her husband to cheat, or that her weight lost may cause her daughter to value being thin over all else. Which scenes resonated with you the most? Who do you relate to the most: Alice, Daphne, or Hania?